Are you about to buy a house or condo for the first time? Congratulations! Owning your own piece of real estate is a liberating experience and one that will provide you with the foundation to build your personal wealth and equity. Once you own your own home you’ll be responsible for a variety of new costs, including property taxes which are assessed by your local government to pay for municipal services. In this blog post we’ll share how property taxes work and what you can expect to pay for them when you buy your new home. As mentioned above, local governments assess property taxes as a means for paying for police officers, fire fighting services, road maintenance and the other various costs that come with running a town or city. Whether you’re buying a house, a townhouse or a condo, the property that your home sits on is inside of an area known as an “assessment area”. When the local government determines what your local tax levy or tax rate will be, they will assess your home based on the real estate market value of similar homes in the area. You can multiply your tax rate by the assessed value of your home to determine how much you’ll owe in property tax. When you close on your new home you’ll have to pay property taxes, and your real estate agent will help you to understand how much these taxes will be and how they will be paid. In most cities and counties you’ll pay a pro-rated amount of property tax that covers the time span from the date you purchase the home until the end of the year, after which time you’ll be paying your full assessed rate. Finally, don’t forget that property taxes can be factored in to the rest of your overall tax picture. Check with your accountant or another financial professional to determine whether or not you can write your property taxes off against your income tax to save some additional money. There are numerous tax benefits to owning a home, so it’s best to start using them from day one. 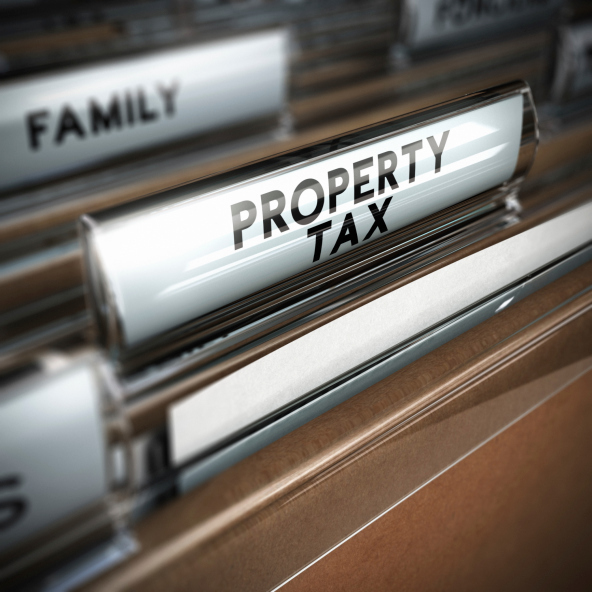 As with all other taxes, property taxes are a fact of life that every homeowner faces. When you’re ready to buy a new home and to learn more about how property taxes will affect your purchase, contact your mortgage professional for expert advice.